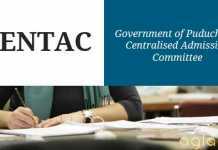 Centralized Admission Committee (CENTAC) – Govt. of Puducherry is a common admission portal to all the colleges in U.T. of Puducherry. For all the Government and Government run Society Colleges in the U.T. of Puducherry, the Govt. of Puducherry has decided to conduct the admission process for Professional, Fine Arts, Arts and Science, Education, Hotel Management and Diploma courses as well as “Government Quota Seats” in Private and Unaided Professional Colleges, including minority colleges, under one umbrella. Candidates who have already passed the qualifying examination and those who have appeared in such qualifying examination are eligible for admission, subject to fulfilling the stipulated minimum marks in the prescribed subjects for the various courses and the criteria for age. 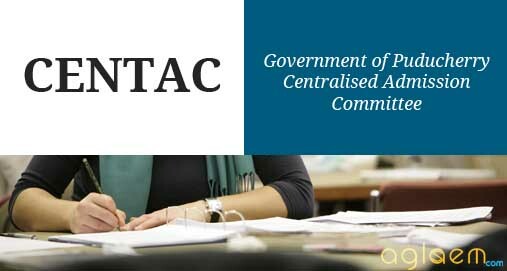 Centralised Admission Committee CENTAC published details of admission to various programs. Candidates who are interested and eligible for Puducherry admission can submit application form of CENTAC in online mode only. 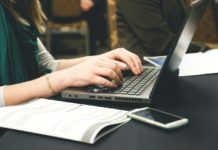 The application fee is prescribed for candidates from various categories, depending on the number of courses for which they apply. Admission to some courses is on the basis of merit in qualifying examination. CENTAC also conduct entrance exam for a few courses. The candidates belonging to the UT of Puducherry are eligible for admission in the Government Colleges and in seats allotted by CENTAC under the Government quota, in self-financing colleges. Candidates of Other States are eligible for admission only for seats in selected courses of Government colleges through CENTAC.